acon 2.5” SATA Solid State Disk (SSD) delivers all the advantages of flash disk technology with Serial ATA III interface, including being fully compliant with standard 2.5-inch form factor, providing low power consumption compared to traditional hard drive and hot-swapping when removing/replacing/upgrading flash disks. acon Seal 2.5” SATA Solid State Disk (SSD) is resistant to practically any environmental danger. The metal case encloses and protects the core, and a special sealing compound hermetically seals the sensitive electronic components within and protects your data reliably against liquids, dust, dirt, shock and vibration. 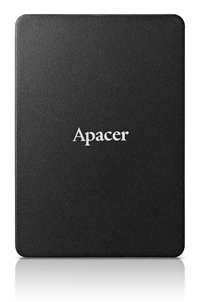 Apacer SU120-25 SATA SSD is engineered to meet the demanding need by adopting Apacer proprietary SLC lite technology. It utilizes the infrastructure of MLC flash to simulate the performance and durability of SLC flash. 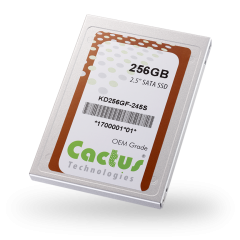 OEM Grade pSLC SATA III SSD have >6 times more endurance cycles than Commercial Grade products based on MLC NAND. Pseudo-SLC products should be used in applications which require better endurance, error rates and data retention than the Commercial Grade MLC SATA III SSD. The Pseudo-SLC Overview white paper gives a detailed overview of this technology. 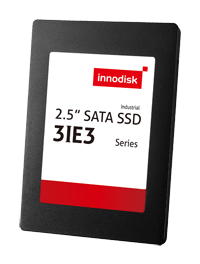 3IE2-P 2.5” SSD not only performs unmatched performance, but also designed with Innodisk owned technical knowhow to ensure the data integrity and highest levels of reliability. nnodisk 2.5” SATA SSD 3IE3 is SATA III 6Gb/s Flash based disk with iSLC technology, which delivers excellent performance and reliability making it the ideal solution for a variety of pplications, including embedded system, industrial computing, and enterprise field. 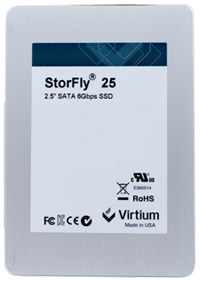 StorFly® 25 2.5″ SATA SSDs are ideal for industrial automation, networking, server, blade and medical applications that require high performance in an industry-standard 2.5” form factors. They are ideal as rugged alternatives to 2.5” HDDs and are also used in many military and ruggedized portable computers and data recorders.